We look forward to you enjoying a comfortable stay in one of our individually decorated en-suite rooms in our little corner of paradise in the Overberg. Sixteen Guest Lodge on Main offers five suites. 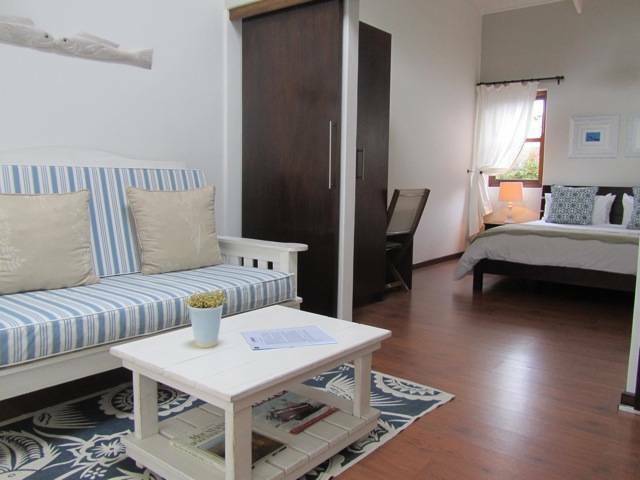 Each suite is stylishly decorated with a TV area and large en-suite bathroom with separate bath and shower facilities. The Queen suites have inter-leading doors to the twin suites for family bookings. At Sixteen Guest Lodge on Main we spoil our guests with a wide range of facilities and aim to make your stay as comfortable as possible by offering DSTV, free wifi and internet and an inviting heated pool. Sixteen Guest Lodge on Main offers five suites, three Queens and two Twins. 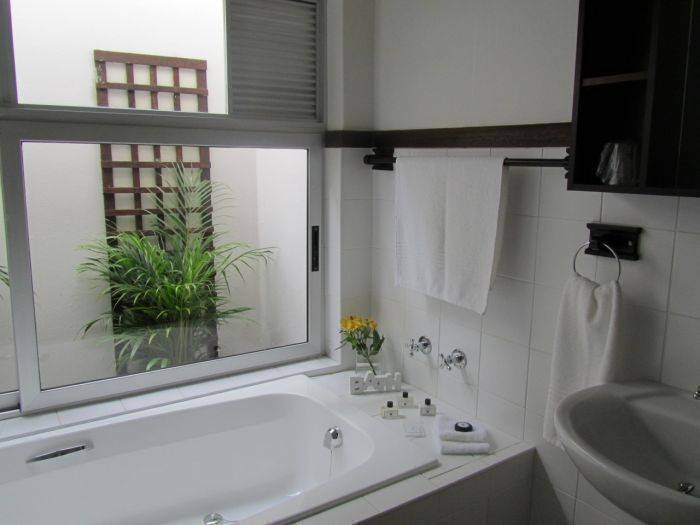 Each suite is stylishly decorated with a TV area and large en-suite bathroom with separate bath and shower facilities. The Queen suites have inter-leading doors to the Twin suites for family bookings. All suites have separate entrances onto the pool and garden area. The town overlooks Walker Bay, where southern right whales congregate from July to November to calve and mate. During this time, Hermanus' very own whale crier watches the bay and informs people where the whales are by blowing on his kelp horn. The whales can be spotted from the cliffs as they frolic in the water. A few operators based in the new harbour are permitted to take visitors on whale watching trips in the bay, which promises to be an unforgettable experience. 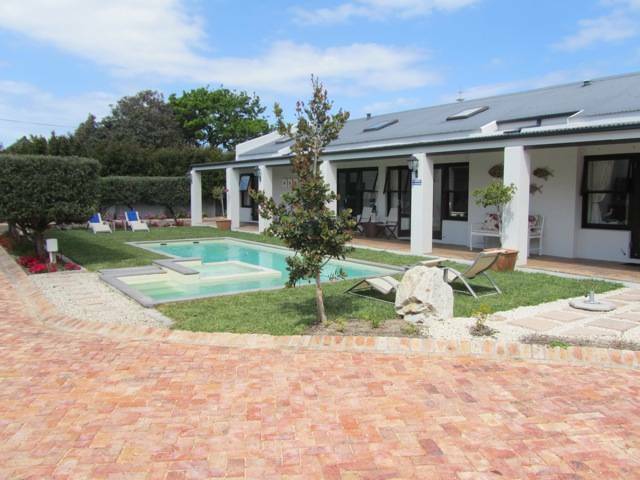 When it comes to shopping, Hermanus offers tourists a wide range of stores. 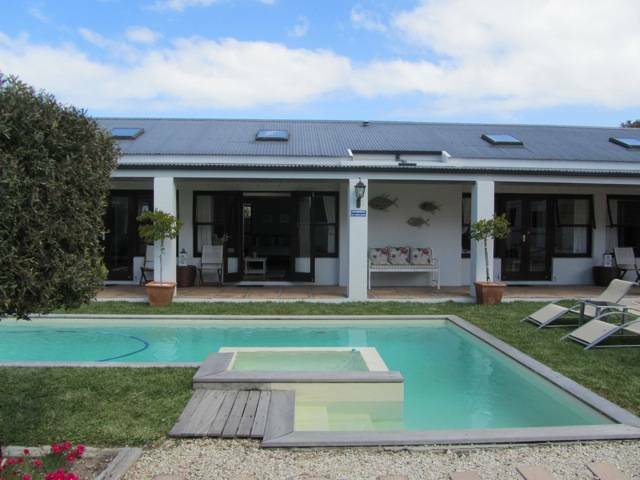 From art galleries, clothing boutiques and home décor stores, to stores packed with the necessary amenities, Hermanus has it all. A variety of craft markets occurs every Saturday. There is a bustling craft market at Lemm's Corner, as well as the Hermanuspietersfontein Boeremerk at the Hemel-en-Aarde wine village. Fernkloof Farmer's Market specialises in organic produce fresh from the farm. 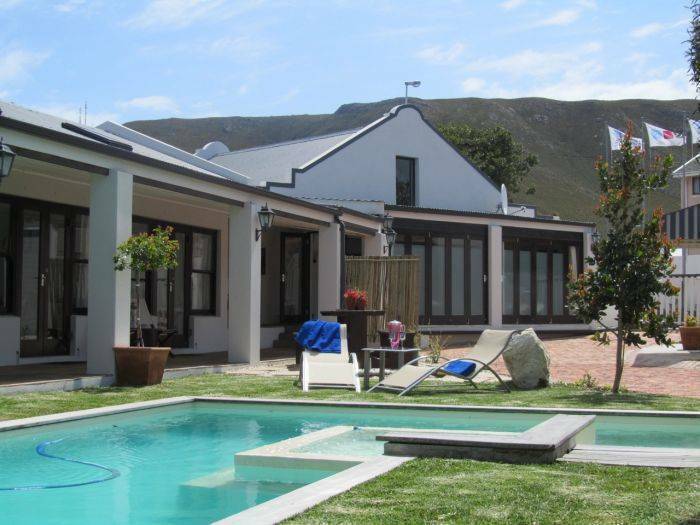 Visitors to Hermanus soon discover the range of restaurants and cafés in town. Whether you prefer simple but delicious dishes, or five-star cuisine, Hermanus caters for your every taste and pocket size. 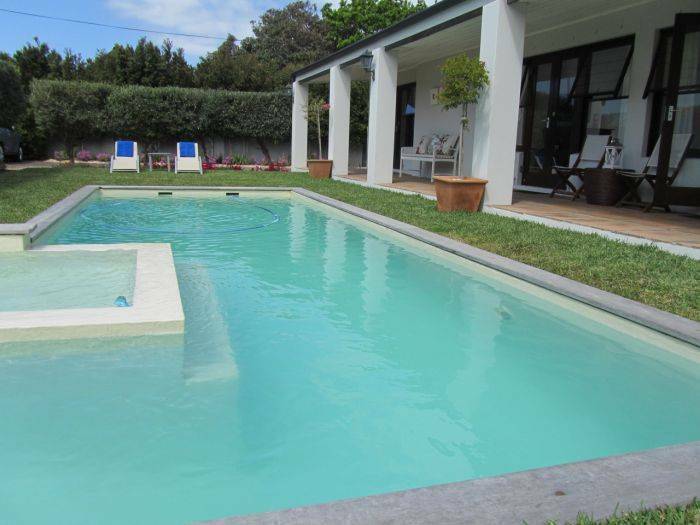 There is an abundance of activities to do in Hermanus - playing golf at the 27-hole Hermanus Golf Club, hiking and picnicking in Fernkloof Nature Reserve, horse riding near Klein River lagoon, fishing, kayaking in Walker Bay, whale watching from an airplane, relaxing on one of many beaches and much more. The R320 towards Caledon snakes through the Hemel-en-Aarde valley. The composition of the soil in the valley is ideal for the early ripening of wine varieties such as Pinot Noir, Chardonnay and Sauvignon Blanc. It is here where several acclaimed wines have been cultivated and it is worth spending a day visiting the many prestigious wine cellars in this area. 30 to 8 days prior to check-in date, 50% of reservation value will be forfeited. Deposits are not refundable in the event of cancellation within 7 days prior to check-in date and / or non-arrival. Take the R43 turn off the N2 out of Cape Town. We are situated on Main Road 300m pass the Total Garage, just before you get to center town Hermanus.